Camping at The Mountain, originally uploaded by The Bacher Family. Here's another photo from our first Camping Adventure with My Parents group this summer at Mount Rainier National Park. 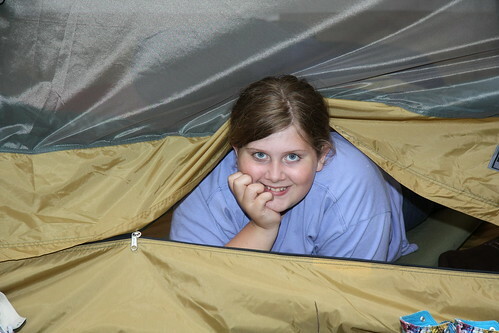 Young Emily had just helped her family set up a tent for the first time, and was enjoying the fruits of her labors by resting inside of it. I caught a picture of her as she poked her head out.